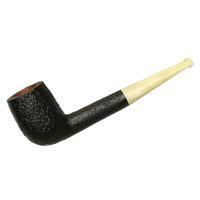 The "347" is a pleasant example of the old Cutty shape in its normal-length presentation, and here offered paired to a long, lean churchwarden stem, for a comfortable configuration. 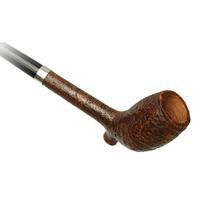 Bowl Height: 1.70 in./43.06 mm. Chamber Depth: 1.43 in./36.37 mm. Chamber Diameter: 0.68 in./17.33 mm. Outside Diameter: 1.16 in./29.34 mm.